The Food and Drug Administration says that there is a rare risk that acetaminophens could cause Stevens-Johnson syndrome (SJS), acute generalized exanthematous pustulosis (AGEP), and toxic epidermal necrolysis (TEN). The risk exists in both over-the-counter and prescription meds that contain this fever reducer/pain reliever. If you developed any of these skin conditions while taking a drug that has acetaminophen in it, please contact our Boston acetaminophen injury lawyers today. Drug-Induced Stevens – Johnson Syndrome (SJS) is an immune-complex-mediated hypersensitivity disorder caused by an adverse allergic reaction to medications. 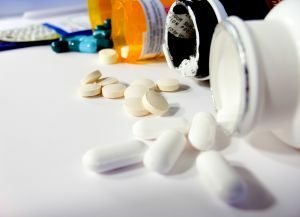 While there may be several causes of general SJS, Drug-Induced SJS is caused by a severe allergic reaction to both over the counter and prescribed medications including Cox-2 Inhibitors, non-steroidal anti-inflammatory drugs, painkillers, sulfa-based antibiotics, fluoroquinolone antibiotics, and seizure medications. A Plymouth, Massachusetts jury has awarded the family of Samantha Reckis $63 million dangerous drug verdict for the severe allergic reaction she experienced from taking Johnson & Johnson’s Children’s Motrin 10 years ago. Samantha T. Reckis was just 7 when she developed Toxic Epidermal Necrolysis (TEN).If the trial judge upholds the verdict, payment to the family, with interest, could be as high as $109 million. Reckis developed the serious but rare medication reaction after taking the pain reliever to treat signs of a fever. She went on to experience fatigue and develop blisters on her body until most of her skin fell off and she went legally blind. According to Medical Daily, not only did doctors at the hospital have to drill a hole in her skull to alleviate pressure but she also suffered chronic short-term memory loss, damaged her lungs, which impaired her breathing capacity. The jury determined that J & J and its McNeil Consumer & Specialty Pharmaceuticals, which makes the children’s ibuprofen, neglected to provide adequate warnings about the possible side effects that could result from this over-the-counter medication. Of the $63M Toxic Epidermal Necrolysis injury verdict, $50M is for Samantha and $13 million is for her parents. A judge has determined that no errors of law were made in the $10M dangerous drug verdict that was awarded to the family of Brianna Maya. The girl, then 3, reportedly showed symptoms of Stevens-Johnson syndrome after taking Children’s Tylenol and Children’s Motrin for a fever. Maya was hospitalized after what began as redness close to her eyes and a rash became blisters on her skin and inside her body. She developed wounds on over 80% of her body, became blind in one eye, suffered organ damage, and experienced scarring on her skin, seizures, and periodic infections. She has also had to undergo a number of eye surgeries. Her family sued Johnson & Johnson subsidiary McNeil Consumer Healthcare in 201l. A jury found that the defendant did not provide proper warnings that a consumer might develop SJS or Toxic Epidermal Necrolosysis and issued the $10M verdict. The US Supreme Court will hear the issue of whether the makers of generic drugs can be sued for products liability despite the fact that federal law bars such lawsuits from proceeding. The case, Mutual Pharmaceutical Co v. Bartlett, U.S. Supreme Court, No. 12-142, involves Mutual Pharmaceutical Co.’s efforts to reverse a $21M drug injury award that a jury gave to plaintiff Karen Bartlett over personal injuries she sustained from taking sulindac, a generic non-steroidal anti-inflammatory medication. Bartlett, who took the drug to treat her shoulder pain, experienced a rare reaction to med and developed Stevens-Johnson syndrome. She is now nearly blind and has burn-like lesions on the majority of her body. Bartlett would go on to file a dangerous drug lawsuit against Mutual under state law in New Hampshire claiming that the med was dangerous and defectively designed. Takeda Pharmaceutical Co., of which Mutual is an indirect unit, has responded by invoking federal law, which does not allow drugs with FDA approval to be the target of drug defect lawsuits. Per that law, generic drugs must be designed the same as their brand counterparts and come with the same labels and Mutual and other generic medical manufacturers have said that because they have to be designed and labeled exactly as their brand equivalents, it is not up to them to modify a generic drug’s design or labeling. Earlier this year, a 1st US Circuit Court of Appeals panel of three judges was unanimous in their refusal to have federal law apply to design defect allegations. Finding that there was more than enough evidence showing that sulindac caused Bartlett’s hypersensitivity reaction that left her with permanent injuries, they upheld the jury verdict. If you or someone you love developed Stevens-Johnson Syndrome while taking medication, you should contact our dangerous drug lawyers at Altman & Altman, LLP right away. We represent victims who have suffered serious reactions from taking prescription medication or an over-the-counter drug. Your first case evaluation with one of our Stevens-Johnson Syndrome drug injury attorneys is free. Stevens Johnson Syndrome can afflict both children and adults to devastating consequences. Treatment of this condition usually involves time spent in a burn unit (if there are serious blisters present) or an ICU. Antibiotics could be prescribed and an ophthalmologist may have to be involved to prevent permanent vision/eye damage. Anti-inflammatory meds and topical creams may also be necessary.